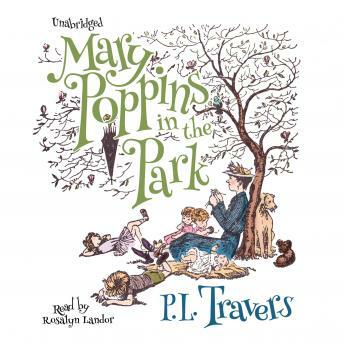 From the moment Mary Poppins arrives at Number Seventeen Cherry-Tree Lane, everyday life at the Banks house is forever changed. This classic series tells the story of the world’s most beloved nanny, who brings enchantment and excitement with her everywhere she goes. Only the incomparable Mary Poppins can lead the Banks children on one marvelous adventure after another. Together they meet the Goosegirl and the Swineherd, argue with talking cats on a distant planet, make the acquaintance of the folks who live under dandelions, and celebrate a birthday by dancing with their own shadows. And that’s just for starters!